Creed (2015) – WHO IS THE MAN FROM KRYPTON? I’ll start things off by saying that ‘Creed’ has received glowing reviews from critics and audiences, stating that it honours the older films but also paves a new path for itself and a fair few people are even calling it the best Rocky film ever. I am left absolutely befuddled as to how people love this film so much. 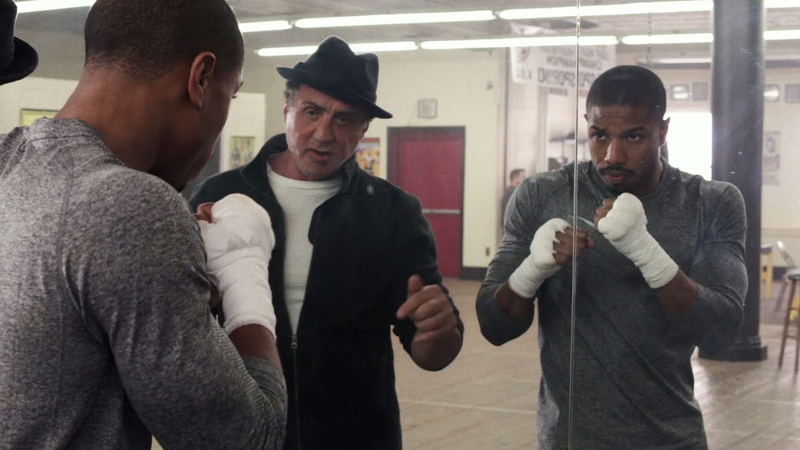 I think Michael B. Jordan is a very talented and charismatic actor and his role here as Adonis Creed shows that to great effect, supported by Sylvester Stallone easily sliding back into his Rocky character. Even though Rocky isn’t centre-stage anymore, that doesn’t stop Stallone giving it his all and helping improve everyone else’s performances. The way the actual boxing matches are filmed in ‘Creed’ is great, it makes you feel in the moment and you really get a sense of every punch which is only made more visceral with the occasional smattering of blood. The only thing wrong with the film is the story and the script, it is so contrived, so derivative whilst trying to be different that it is painful to watch at times and dull to watch other times. The Rocky films were never these huge innovators of storytelling, but they never tried to be and instead just introduced you to Rocky Balboa, a nice, honest guy with a heart of gold and then the film would allow you to root for him and really connect with him. Now I don’t know whether it is me, but the script didn’t make me want to root for Adonis, it didn’t make me empathise with him, in fact I only liked him because Jordan is so damned charismatic that it would be difficult not to like any role he is involved in. If they had gone with a different story or even a better script, I have no doubt that this film would be in my top ten of the year, but as it is, it is a bitterly disappointing outing for a franchise which up until now, had only had the one mis-step. An argument could be made that this script was modernised and dragged a character from the 70’s all the way into modern times, but I wholeheartedly disagree as ‘Rocky Balboa’ brought Rocky back and it worked extremely well, as a matter of fact, ‘Rocky Balboa’ is my favourite of all the ‘Rocky’ films. I was so excited to be back in the world of Rocky and I was ready to be knocked out by another great boxing film but unfortunately, the film bored me to the point in which I wish someone had knocked me out in real life.